The South Africa Minister of Home Affairs, Dr Siyabonga Cwele has announced that the Lesotho Special Permit (LSP), which expires this year will be renewed. This, he said at the press briefing held at Maseru border gate on Monday after his meeting with his Lesotho Counterpart, Mr. Tsukutlane AU. The objective of the meeting was to discuss the LSP and analyse progress made at the border with regard to addressing a challenge of congestion. 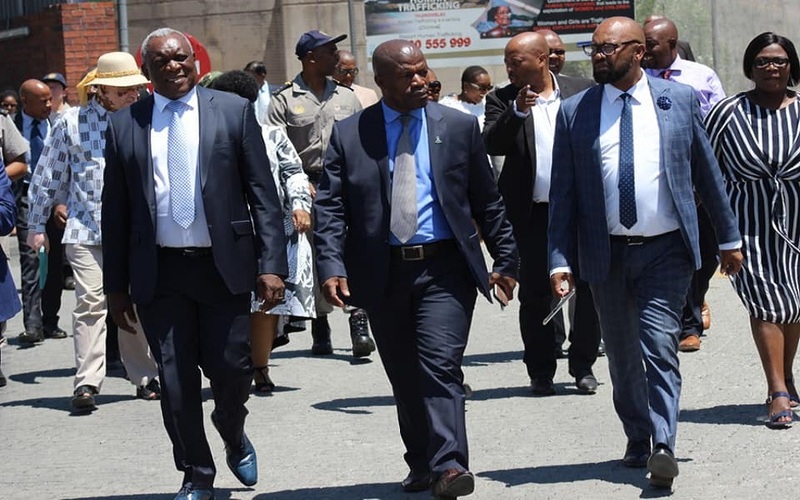 Dr Qwele said both parties have agreed on the meeting that a four-year LSP, which will expire in December this year has to be renewed for the benefit of Basotho nationals who are working, studying and doing business without appropriate documentation in South Africa (SA). He added that this will create an opportunity for Basotho nationals who qualify but failed to apply for the LSP previously to do so. He said a series of meetings are due to be held in preparation for the above, saying the following meeting will be held next month. In another issue, Dr Qwele said he was satisfied with the infrastructure progress made at border in a bid to reduce congestion. However, he said more work has to be done to reduce congestion at border, particularly the network capacity for the biometrics which has to be improved. He assured that they will cooperate with their Lesotho counterparts to ease movement between the two countries. Sharing the same sentiments, Mr. Au said the country is in need of the special permit dispensation as it is landlocked by South Africa. He also said he was aware that some of the people who applied for the LSP previously did not get them, assuring Basotho that this challenge will be addressed during the second phase of the LSP. As part of their visit at the border, both Ministers toured Maseru border post. Lesotho nationals working, studying or running businesses in The Republic of South Africa and have been in the country in such capacity before 30th September, 2015 have been granted a special permit dispensation with the intend to regularise the stay of Lesotho nationals residing illegally in South Africa. The system is also meant to pave way for ease of movement between the two countries by prioritising frequent travelers between the two countries.